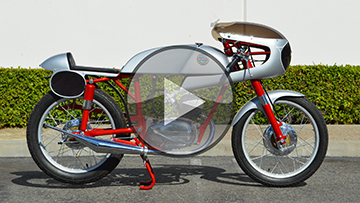 AIRTECH VIDEO SECTION - FAIRING SELECTION, INSTALLATION, HOW-TO VIDEOS, NEWS, EVENTS, FIBERGLASS TIPS & TRICKS, LAND SPEED, CLASSIC RACING, VINTAGE BIKES AND MUCH MORE! Welcome to our video page! This section will be used to post videos about Airtech products, racing, projects and events. We'll also be adding how-to videos on custom fiberglass work, parts selection and installation to help you with your custom bike projects. Sign up for the newsletter and "Like us" on Facebook so you don't miss our updates! A look inside the Airtech headquarters. Kent talks about parts selection and our 6000+ mold inventory. 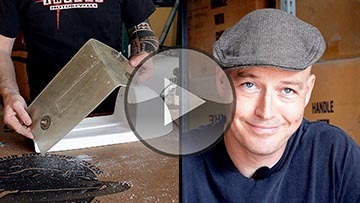 Kent talks about the parts you need to build a CB750 dirt tracker replica. Dutch explains how to install a seatpan to a cafe seat to get it ready for upholstery. Turbinator II: Return of the Turbinator. We help Team Vesco extend the body of their famous turbine driven land speed car in an effort to create the first wheel driven car to break 500mph on the Bonneville salt flats! Racer & moto journalist Ari Henning gives us a quick run down of parts you need to build a vintage racer out of a CB350. 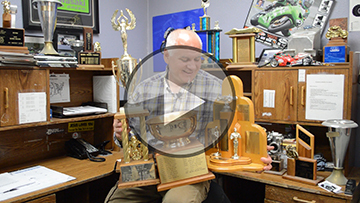 In this video Airtech owner Kent Riches tells us about some cool Land Speed trophies we've won over the years. Kent explains how to create step flanges in a part that does not have them.